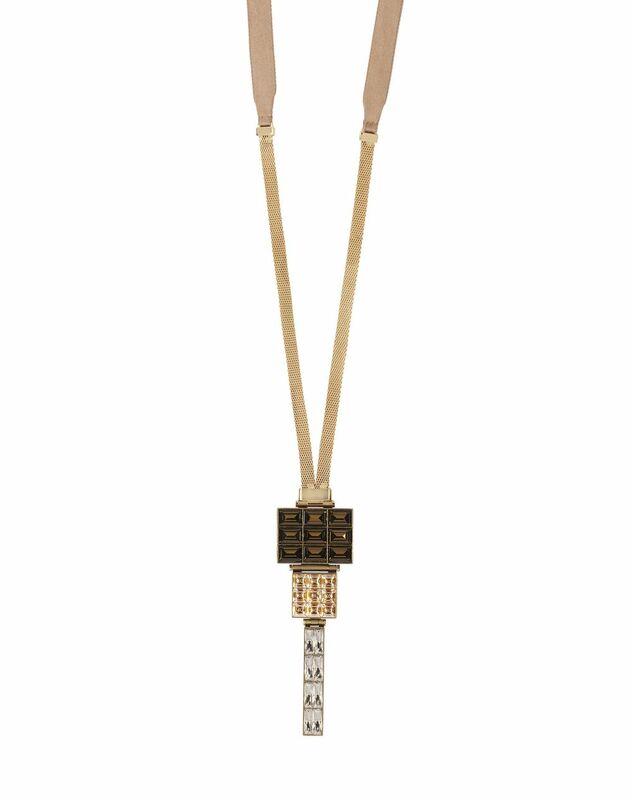 Long “Luxbox” necklace in bronze and gold-colored pewter, diamond detail in bronze-colored Swarovski crystals, and a beige grosgrain ribbon tie to adjust the length. 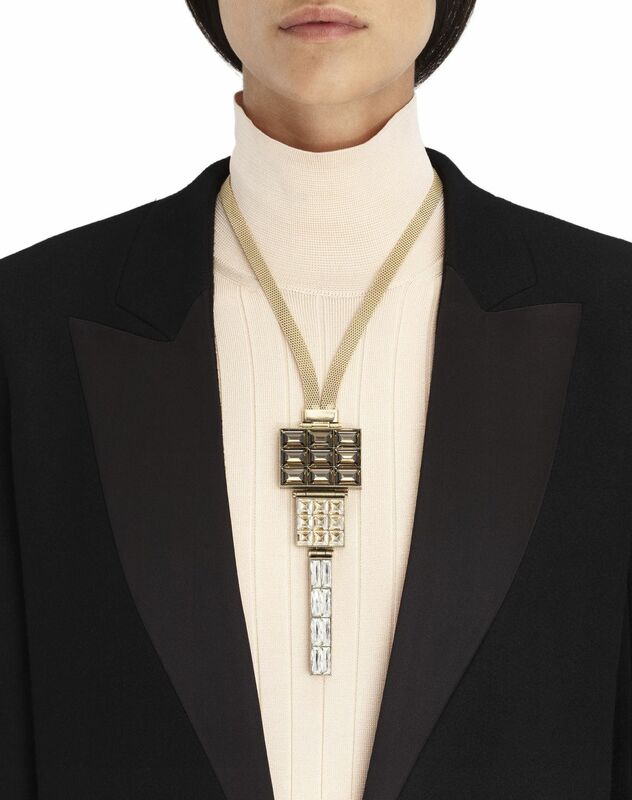 For the Winter 2018 Collection, Lanvin is offering a new necklace inspired by the Op Art movement. 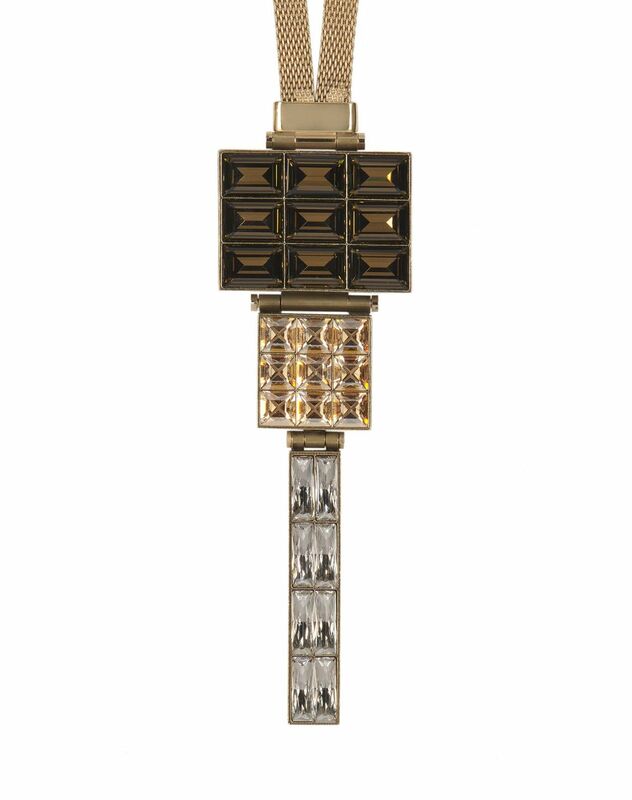 The different sized and shaped crystals add elegance and sophistication to this piece.